Established in 1977, BRP Renaud und Partner mbB (BRP) has continuously grown to meet the business needs of clients. Today BRP has 50 lawyers, with a focus on meeting all of the needs of international clients in all areas relating to commercial law. As a part of their service, BRP provide out-of-court advice and structure contracts to avoid and resolve conflicts. However, when conflicts arise the firm vigorously represent their clients in court and at arbitration tribunals. It is always the objective of the firm to do their utmost in representing clients interests and to bring their cases to a successful conclusion. To achieve this, the firm starts with a precise appraisal of a clients legal position. The team at BRP analyse the risks and opportunities, provide clear recommendations and work with clients to define their objectives. Through sound legal advice and suitably structured contracts, lawyers at the firm will work towards achieving clients objectives whilst safeguarding their interests. Efficient use of time and money is this teams top priority. The way in which the firm works and their understanding of partnership means that relationships with their clients generally last for years – if not decades – and often continue from one generation to the next. The firm offers specialist services. All of the partners in this firm have expertise in specific areas, which they have gained over many years of practical experience in the profession. The good reputation this firm has earned in the course of its work, often facilitates their professional relationship with courts, institutions and opposing lawyers. To ensure high quality relationships, the firm will assign each client one partner as their primary contact for each assignment. When necessary, this partner will involve appropriate BRP colleagues to provide the proper expertise or allocate working groups when coordination of multiple legal issues is required. The firm also cooperates with other professionals such as tax advisers and accountants. The firm has well-established relationships both in Germany and abroad, most of which go back many years. As members of Interlaw, BRP can rely on a global network of elite law firms, who share a common goal of global cooperation. 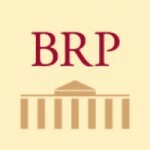 This provides BRP with access to first-class legal contacts worldwide.